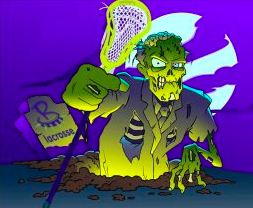 On Saturday, November 3rd, 2018 the 8th Annual Graveyard 7v7 Lacrosse Tournament is coming to the Johnson Controls Hall of Fame Village Sports Complex. Big Dog Lacrosse with be hosting the tournament which will feature 110 teams from across the state of Ohio. This two day event will consist of over 200 games across the Bantam, Youth, Middle School and High School Divisions. Food trucks will be on site to provide athletes with snacks and meals throughout the day. “It provides a great opportunity for all teams, regardless of playing ability, to enjoy an awesome event where they can be competitive and have a lot of fun. ” said Jim and Jennifer Davis, Directors of Big Dog Lacrosse. If you want to host your next sports event at the Sports Complex, contact us here!